Do you ever feel like you are all over the place? Are you a little forgetful and flaky? Can you literally not find your footing? This is what can happen if you are not grounded. We can describe people as level-headed and grounded, but what does that actually mean? Staying grounded is a way to remain connected to the energy of the earth. A simple grounding exercise involves the visualization of yourself as a tree. First, close your eyes. Next, visualize roots growing out from your feet. “Extend” these roots through the ground and going all the way down. Anchor them at the center of the earth. Meditation helps bring about awareness. You notice the subtle energy changes within your body. You know if you are out-of-sync or if you have become ungrounded. Practicing body awareness or “sweeping” meditation is also helpful. You also bring your awareness into the now, rather than the past or the future. You are aware of your physical existence even while increasing your spirituality. If you are grounded, you are conscious of yourself, surroundings and earth. You develop a strong sense of being. You don’t have to spend hours in meditation. In fact, just half an hour a day is enough to expand your awareness. For grounding purposes, sitting on the floor, which puts your body (buttocks and feet primarily) in touch with Earth to meditate is a much better option to sitting on the bed. Working with soil or clay helps in grounding. Simply touching earth helps. Gardening in fact is a wonderful grounding activity! Working with clay adds an element of fun! I used to attend pottery lessons in a factory that manufactures earthern pots and clay plates. A simpler option is to take some children’s clay and play with it for some time. According to Ayurvedic Medicine, there are grounding foods that you can eat. 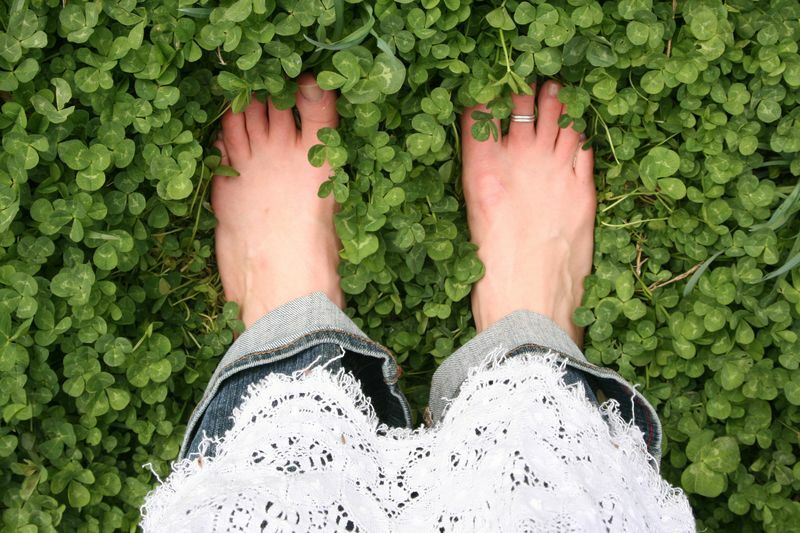 Grounding foods include those that come from the ground. Hence, these will be foods like potatoes, sweet potatoes, carrots and ginger. Other grounding foods include avocado, mango, papaya, grapes, olives, berries, coconuts, figs, melons. Vegetables include green beans, eggplant, and yams. For flavoring your food, use warming spices such as ginger, nutmeg, garlic, cinnamon, cumin, coriander and cloves. A dash or two of fennel and/or sea salt into your food will be great! Drinks should be warm and not cold. Different crystals can help you ground in various ways. For instance, Obsidian is a volcanic rock, which is black and opaque. Its properties make it excellent for blocking energy and suitable for people who are hypersensitive. Other grounding crystals include Black Tourmaline, Smoky Quartz or Jet. To pick out the most suitable rock for yourself, seek the advice from the owner of a crystal shop or outlet. It may also be the case that you find yourself drawn to a particular crystal. Simply hold the crystal in your hand and imagine any unwanted energy flowing out of you and into the crystals. Occasionally, put your crystal on the ground to drain and clear it of its negative charge.